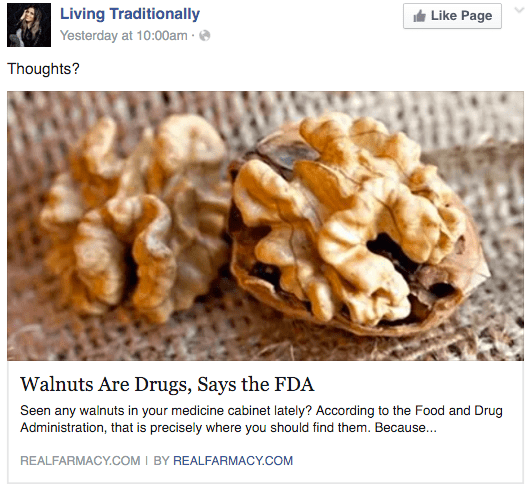 The FDA Classified Walnuts as Drugs? The Food and Drug Administration hasn't decided walnuts are drugs — just that companies can't make specific, unauthorized health claims about them. The FDA classified walnuts as drugs. Is it true that the FDA has declared walnuts are a drug because of health claims on packaging? Sometimes, the circulation of misinformation revives interest in separate, similar, but still inaccurate claims. This appeared to be the case with a March 2016 internet rumor alleging that the Food and Drug Administration classified walnuts as drugs. In February and March 2016, the FDA was already the subject of rumors that the agency “outlawed” cannabidiol (CBD) oils. Almost immediately, rumors began to surface on social media that walnuts had also recently fallen prey to preposterous reclassification by the FDA. The statement suggests that the evidence supporting a relationship between walnuts and coronary heart disease is related to the omega-3 fatty acid content of walnuts. There is not sufficient evidence to identify a biologically active substance in walnuts that reduces the risk of CHD. Therefore, the above statement is an unauthorized health claim. This letter is not intended to be an inclusive review of your products and their labeling. It is your responsibility to ensure that all of your products comply with the Act and its implementing regulations. 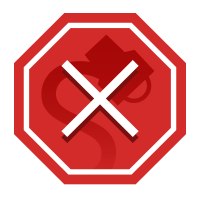 The warnings were specifically due an “unauthorized health claim,” and products that are not classified as drugs by the FDA are not legally allowed to make such claims. However, the letters in no way indicated that walnuts had been classified as drugs. Prior dubious items from RealFarmacy included claims that science disproved a link between sun exposure and skin cancer, and another baselessly accusing unspecified pro-GMO bioterrorists of sabotaging Chipotle’s product supply with foodborne pathogens.